*All sandwiches come with a pickle, choice of seasoned fries, sweet potato fries, black beans, coleslaw, rice or veggies & dip. Substitute for a house salad, cup of soup or onion rings for extra. 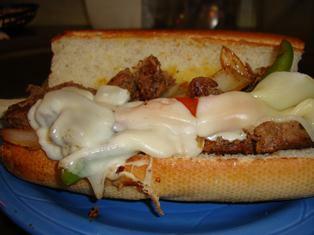 Steak or marinated chicken, with sauteed peppers & onions topped with provolone cheese. 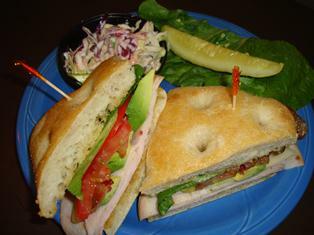 Served on a grilled hoagie roll with your choice of a side. Thinly sliced turkey in our spicy BBQ sauce, cheddar cheese, crispy bacon, pineapple topped with lime cilantro coleslaw. Served on grilled focaccia bread. A tidal wave of flavor! Thinly sliced turkey, fresh avocado, bacon and Swiss cheese. Served with lettuce and tomato on grilled focaccia bread. Crispy pieces of chicken tossed in our buffalo sauce wrapped in a garlic herb tortilla with fresh lettuce, tomato, cheddar/jack mix and ranch dressing. 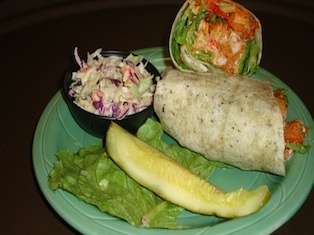 Golden fried fish and shrimp, cheddar jack cheeses, cabbage and pico tossed in our wasabi sauce, and wrapped in a garlic herb tortilla. Grilled and chilled chicken, lime cilantro coleslaw, parmesan cheese, broccoli, tomato and avacado all wrapped in a garlic herb tortilla.